Serene is a beautiful princess satin lace fish tale gown. 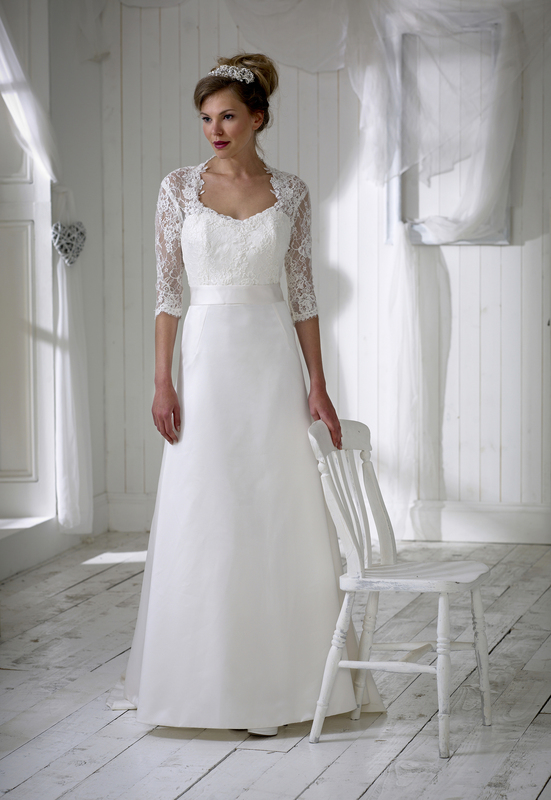 This gown has a Chantilly lace top with full length sleeves. The gown is low cut at the back with a button fastening. Serene is styled with a delicate beaded waistband.